The new Government Service Design Manual recently passed an alpha assessment. Special thanks go to Holly Garrett who led the team from the beginning through to the alpha assessment. Holly’s now moved on and Tom Scott is the new product manager. The alpha assessment report highlights some of the things we’ve learned and decisions we’ve made since we blogged about our discovery phase. the new service manual will not be updated on a volunteer basis: it’s going to have a permanent team proactively updating it. To lead this GDS appointed a managing editor responsible for the whole organisation’s content. Elena Findley-de Regt took the role in November. We’ll be launching some new content early next year. Redirecting sections of the current service manual to ensure saved links and bookmarks don’t break. We’ll be exploring navigation patterns in greater detail. We already know we need to tag content in a meaningful way. We'll be able to take advantage of future developments of the GOV.UK publishing platform. Helping everyone find content they want. 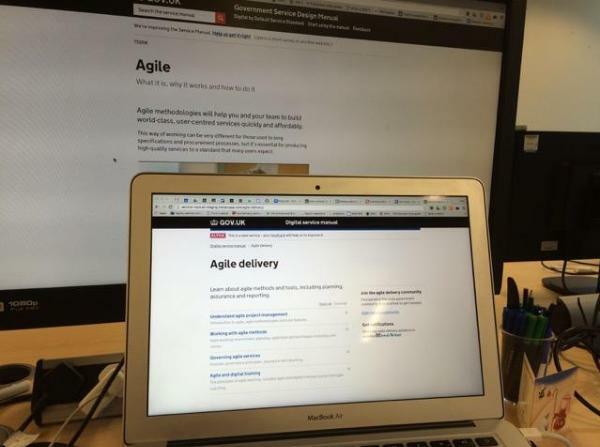 We are currently replacing our old non-functional requirements catalogue to make identifying anything non-functional less onerous for agile teams. Are there any big changes to content planned, or are we 'safe' to use the existing manual for now? Much of the current service manual is still relevant and useful. We are working to improve that content and remove information that is no longer accurate. We are not making changes to the Digital Service Standard, but we are making it easier to see where the points are linked to the guidance. It seems very nice to see people doing citizen duty by themself. Hope support will not delete this, and then upload more info about UC reform to this blog. Thanks again, have a lovely day.